The bench clarified that it was not against holding the examination per se. "But without an amendment to the Advocates Act, can you hold the examination?" it asked BCI. A day after questioning Bar Council of India's authority to conduct All India Bar Examination (AIBE) which a law graduate has to clear to be eligible to practice, the apex court today said it was not averse to any exam to test the capability of law graduates in the “interest of betterment of the profession” but only wanted to verify if the AIBE was within the “parameters of law”. A bench of Chief Justice T S Thakur and Justice U U Lalit has posted the petition filed by petitioner Nagabushana challenging the AIBE before a three judge bench for detailed hearing next Friday. “Such exams have a salutary effect on ensuring only the bright enter the profession. We now have lawyers coming straight to Supreme Court. They don’t know what burden of proof is or how to conduct themselves in court. Many of them do not even know the basics. We already have two million lawyers. 60,000 new one enter the profession every year. Out of that around 2000 are from National Law Universities. What about the remaining 58,000? Any further addition should be based on merit and talent. 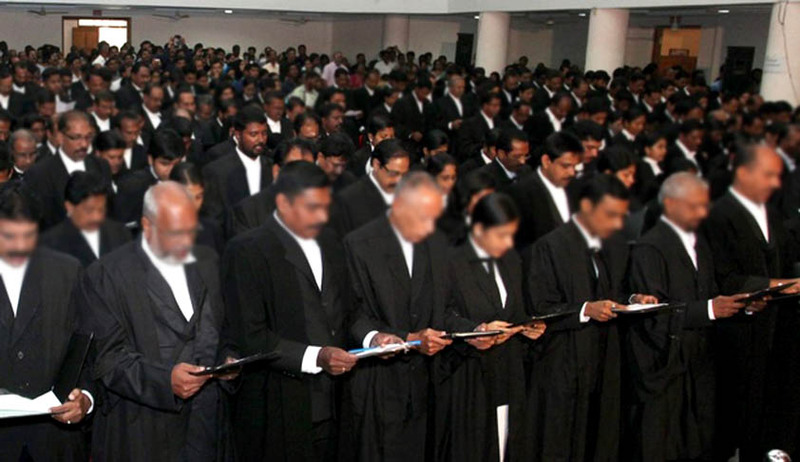 Just because you have a law degree should not mean you have become a lawyer”, said CJI Thakur. "You can make rules to stop malpractices by advocates. But to make clearing of an examination mandatory for a law graduate to be able to practise is like negating a lawyer's right to appear in court?" the bench asked. The bench clarified that it was not against holding the examination per se. "But without an amendment to the Advocates Act, can you hold the examination?" it asked. The Law Commission of India, in its 184th report to the government in 2002, had recommended amendment of the UGC Act for setting up a 'Legal Education Committee' and amendment of the Advocates Act to set up a similar committee by the BCI. The commission had recommended that "a law graduate shall get training from advocates having 10 years experience in courts and should also qualify bar exam before being allowed to practice". However, the BCI, under the chairmanship of then solicitor general Gopal Subramaniam, passed a resolution to conduct AIBE and went ahead with it from 2010.